New Acropolis participated in the 8th Summit of the Americas held in our country in April. 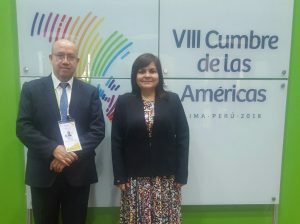 As consultative members of the Organization of American States (OAS) in Chile, we attended as one of the institutions representing civil society, in recognition of our active participation in the progress of society. In this edition, representatives from New Acropolis Chile and Peru attended the event.